Erin Williams, MSN CN LMP, is the founder of EZBalance. As an established author, guest-lecturer, consultant, and instructor, Erin has enjoyed sharing her love of natural-health and wellness with people all over the world. She combines compassion, a love of fitness, a Bachelor’s Degree in Chemistry from Purdue University, and a Master’s of Science in Nutrition from Bastyr University–using her diverse areas of knowledge and expertise to help her students and clients grow into a more nutritionally-balanced, vitally-vigorous, and physiologically-unified whole. 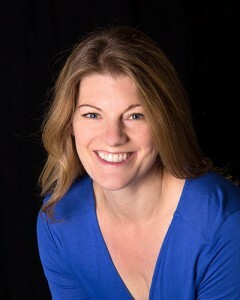 By composing programs that commonly incorporate nutritional science, yoga, physiological chemistry, emotional mindfulness, and organic and sustainable food choices, Erin helps cut through the constant stream of duplicitous advertising and nutritional noise in order to facilitate fundamental understandings of how proper health and meaningful choices coordinate to balance not only the self, but the myriad ecosystems we are an integral part of. 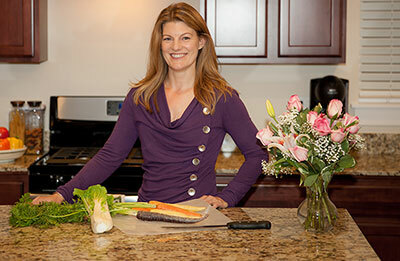 She is available for speaking engagements, guest-instructing, and private consulting on topics ranging from food allergies, cardiovascular disease prevention and management, weight management, mindful eating and most anywhere in-between. 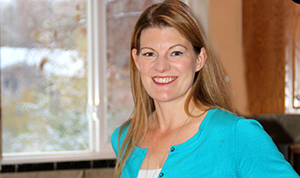 Erin Williams, MSN CN LMP, is a Professional Member of the National Association of Nutrition Professionals, the Gluten Free Society, and the American Holistic Medical Association. Erin is currently enrolled in the Functional Medicine program at Functional Medicine University. I didn’t need anyone to remind me of the food pyramid that we learned about in grade school, and I felt that I was already fairly knowledgeable about nutrition. I was pleasantly surprised when I met with Erin. I told her that I have followed a Paleo diet in the past and that I had been very successful with it. I was unaware that there is an Auto Immune Protocol associated with that particular diet that would help me with some of my health issues. Erin informed me of this and then went through each of my health concerns and educated me about how to best manage them through my diet. She has a chemistry background so she was able to explain on a very detailed level how different substances break down in the body and the effects that each would have on my conditions. She is a wealth of knowledge, always makes time to answer any follow-up questions that I have and has been a fantastic resource. I have enjoyed my interactions with Erin feel she is a great asset to the city’s continued efforts at providing quality health education for its employees! *For Context, Erin is one of three Nutritionists for the City of Boulder. 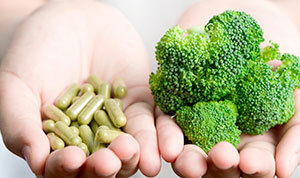 Employees receive one nutrition consult per year as a benefit of the Boulder Wellness Program. I was diagnosed with Irritable Bowel Syndrome and Small Intestinal Bacterial Overgrowth and sought Erin’s expertise to guide me through the low Fodmap Diet I was prescribed. Erin was a wealth of knowledge and explained much more about the diseases than my doctor did. She takes a truly holistic approach and also identified the causes of other symptoms that I had been suffering from. I experienced nearly immediate relief from digestive issues with the diet plan that Erin put together for me. The diet also helped ease the inflammation that I was experiencing, and my chronic neck and back pain disappeared within weeks. My energy levels are way up, aided by the supplements Erin prescribed, and I was able to stop having to rest every afternoon. Erin is responsive and has been great at answering questions along the way. I highly recommend her. My health has improved by leaps and bounds, thanks to Erin. A nutrition consult with her in Nov. of 2013, was the beginning of my transformation. I was told by two different medical doctors that I would not make it past 50 yrs if I didn’t make changes in my blood work. I am currently 41 yrs and that was frightening news to hear. I was pre-diabetic, extremely high triglycerides and cholesterol. Erin, guided me through a healthy eating plan. The most important thing I learned was to watch my sugars. 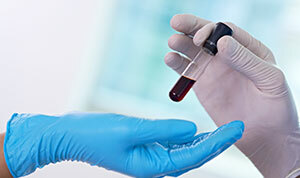 After 6 months on my new diet I had my blood work tested. The results were phenomenal. My doctor said that in 25yrs of being in practice she has never seen anyone change their blood work, with just diet, as I had. I cut my triglycerides in half, my cholesterol is at a healthy level , HDL and LDL had both improved tremendously and my sugars are in a normal range. I am also loving the supplements she recommended to fit my personal needs. Thanks to Erin’s expert advice I feel I will live a healthy lifestyle for years to come. After meeting with Erin and discussing nutrition and diet, I realized that I was doing it all wrong. I bought into the marketing scam that “fat-free and soy” are better for you and that less calories is what you should be doing. When in reality, I was starving myself and my body of what it really needs. Erin showed me that it’s really about portion control, balance the right foods, and that moderation is the key. Now I feel healthier, have more energy, sleep well and my clothes fit better. At first it felt strange to actually “eat” real meals all day, but by eating the “right” things, I’ve seen that my body hasn’t put on any weight…its using the food as fuel and I now have the energy to do more. You have changed my life. The information you have given me to live better and eat healthier has enabled my body and mind to reach further than ever before. As you know, from our meeting, I was having some issues related to health and food allergies. With your knowledge, and helpful insight towards healthy eating and living, I quickly noticed a change in my own healthy behavior. Just to let you know; before I met you I thought I had a pretty good handle on my eating habits, but now I realize that I was just substituting one bad habit for another. Also I love that website you sent me; the CivilizedCaveman, it has some really good recipes. Thank You So Much. I had the pleasure of taking a nutrition class from Erin a few months ago, and am so thankful for doing so! Erin has taught me so many things… how the body reacts to certain foods, what to look for when reading food labels, how to substitute unhealthy food choices with healthy ones, etc. 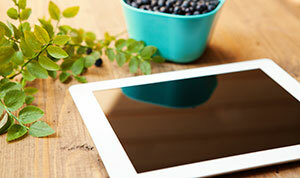 As a result, I have been shifting my eating habits to more natural, holistic foods – and feel better overall. Erin possesses a very high knowledge of both Biology and Nutrition, which combined, make her an excellent resource. I look forward to continuing my work with Erin – and will encourage others to do so as well. I found Erin, at EZ Balance, through my research on SIBO (small intestine bacterial overgrowth) specialists in the Boulder, CO area. I had recently found out through testing with my MD that I had SIBO and was coming into the picture with a slew of other digestive, emotional and mental issues including Canadia, anxiety, panic attacks, and mental fog which had been an uncomfortable part of my life for over 15 years. Understanding that Erin has had both personal and professional experience in these directions, propelled me to make my first appointment with her back in January of 2016. After a thorough investigation of my past and current maladies, Erin suspected that there were issues with my thyroid, adrenal and gut. After taking the tests she suggested through a local laboratory, we discovered that her intuitive diagnosis was indeed right on! She anticipated that within 6 months of following the plan she put together, I should be experiencing a major change in how I was currently feeling. With hope and a plan, we moved forward! We began a 6 month rehabilitation period consisting of dietary changes, supplementation, self hypnosis and mindfulness meditation. At three months I began to notice major changes in the way I was feeling and thinking, and at five and a half months I was able to begin reintroducing foods back into my diet. I was thinking clearly and had an optimism about myself that I haven’t felt for a very long time. All in all, I was back to feeling like myself, only with a healthier more realized body and spirit, six months after our first appointment! I highly recommend Erin at EZ Balance for any and all maladies you may be experiencing. Through her solid background and experience in nutrition, she holistically treats the body, mind and spirit through food, supplementation, intuition and sensitivity. Transforming life from strife to one of empowerment and joy! Want to recommend Erin? Please do so via the contact form found here.